Today’s animation is a rim sherd from the Moore (36WH38) and was scanned in William C. Johnson’s analytical laboratory located in Pittsburgh, Pennsylvania. Today’s animation is an 18th-century escutcheon recovered archaeologically at George Washington’s Ferry Farm. This escutcheon was scanned on site in the Small Finds Laboratory at Ferry Farm in December 2014. According to Laura Galke, Small Finds Analyst for Ferry Farm, this escutcheon dates to the first part of the 18th century, prior to the occupation of Ferry Farm by the Washington Family. However, it may have been part of built-in cabinets from a previous tenet, so the escutcheon may have seen use during the Washington occupation of the Ferry Farm house, which began in 1738 when George Washington was 3 years of age. Today’s animation is a Jack’s Reef Corner Notched point scanned at the New York State Museum (NYSM) in July 2014. 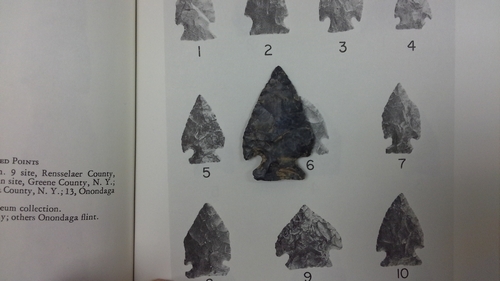 A photograph of this point can be found as the fifth point in Plate 11 on page 79 of William A. Ritchie’s (1971) ” A Typology of and Nomenclature for New York Projectile Points,” New York State Museum Bulletin Number 384.This point, as well as others from Ritchie’s (1971) monograph, were scanned to aid in the creation of a digital projectile point typology funded by the Department of Defense’s Legacy Program, as detailed here. Today’s animation is a Jack’s Reef Pentagonal point scanned at the New York State Museum (NYSM) in July 2014. A photograph of this point can be found as the fourth point in Plate 12 on page 80 of William A. Ritchie’s (1971) ” A Typology of and Nomenclature for New York Projectile Points,” New York State Museum Bulletin Number 384.This point, as well as others from Ritchie’s (1971) monograph, were scanned to aid in the creation of a digital projectile point typology funded by the Department of Defense’s Legacy Program, as detailed here. Today’s animation is a Steubenville Stemmed point scanned at the New York State Museum (NYSM) in July 2014. 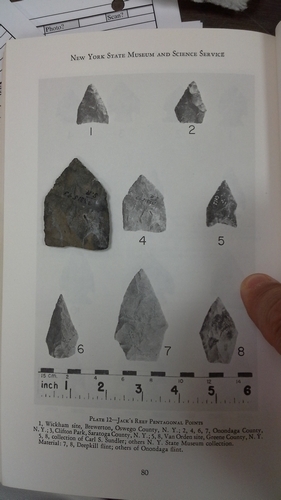 A photograph of this point can be found as the sixth point in Plate 30 on page 109 of William A. Ritchie’s (1971) ” A Typology of and Nomenclature for New York Projectile Points,” New York State Museum Bulletin Number 384.This point, as well as others from Ritchie’s (1971) monograph, were scanned to aid in the creation of a digital projectile point typology funded by the Department of Defense’s Legacy Program, as detailed here. Today’s animation is a Fulton Turkey Tail point scanned at the New York State Museum (NYSM) in July 2014. 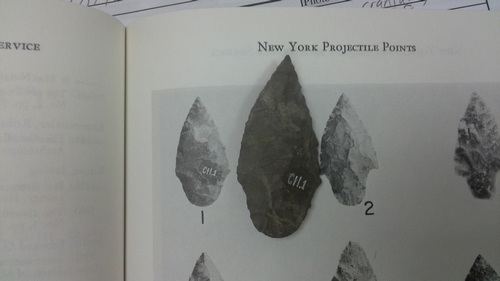 A photograph of this point can be found as the second point in Plate 9 on page 76 of William A. Ritchie’s (1971) ” A Typology of and Nomenclature for New York Projectile Points,” New York State Museum Bulletin Number 384.This point, as well as others from Ritchie’s (1971) monograph, were scanned to aid in the creation of a digital projectile point typology funded by the Department of Defense’s Legacy Program, as detailed here. 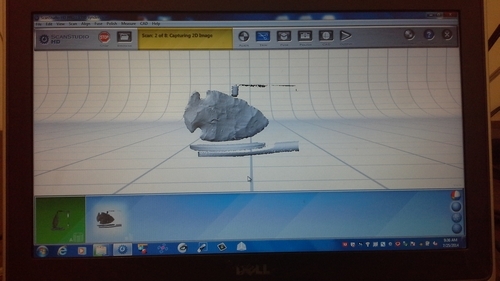 Today’s animation is a Snyders point scanned at the New York State Museum (NYSM) in July 2014. 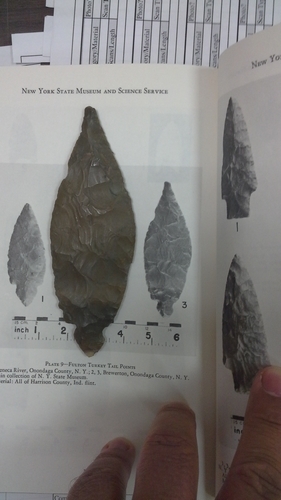 A photograph of this point can be found as the second point in Plate 28 on page 105 of William A. Ritchie’s (1971) ” A Typology of and Nomenclature for New York Projectile Points,” New York State Museum Bulletin Number 384.This point, as well as others from Ritchie’s (1971) monograph, were scanned to aid in the creation of a digital projectile point typology funded by the Department of Defense’s Legacy Program, as detailed here. 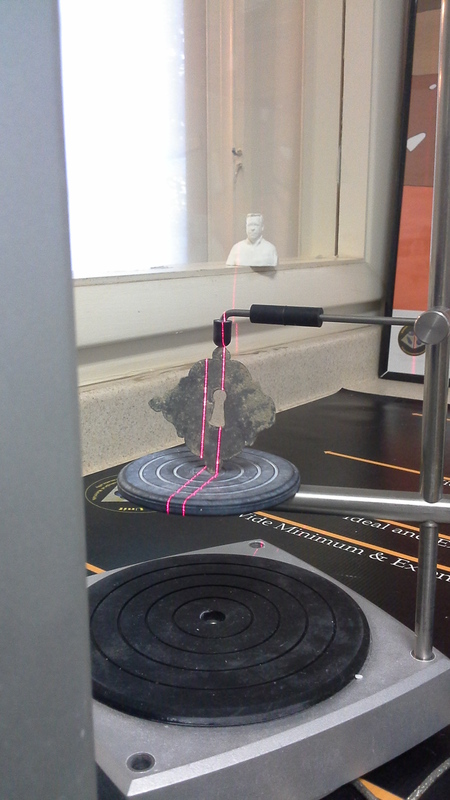 Today’s animation is a second Adena point scanned at the New York State Museum (NYSM) in July 2014. 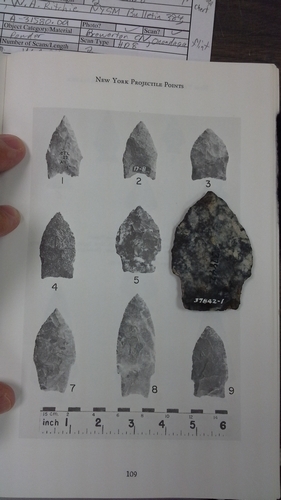 A photograph of this point in Plate 1 on page 61 of William A. Ritchie’s (1971) ” A Typology of and Nomenclature for New York Projectile Points,” New York State Museum Bulletin Number 384. 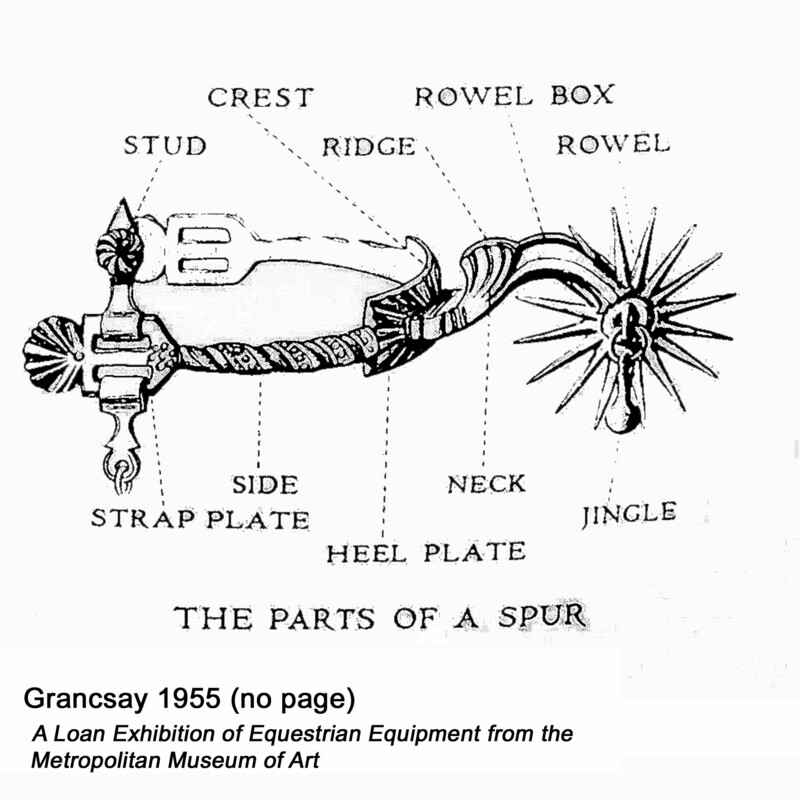 This point, as well as others from Ritchie’s (1971) monograph, was scanned to aid in the creation of a digital projectile point typology funded by the Department of Defense’s Legacy Program, as detailed here.